What's your life story? 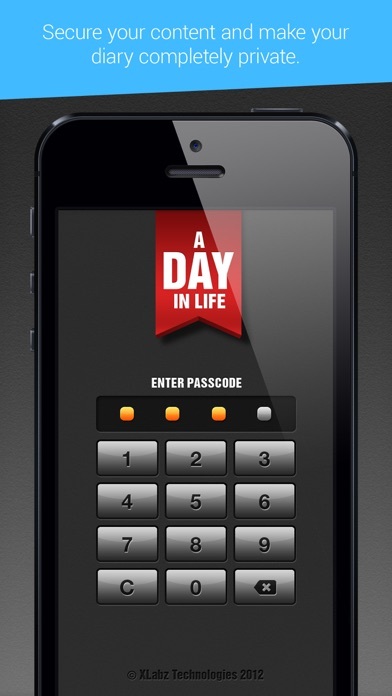 Keep a visual journal of your life's most interesting moments and reminisce over your fondest memories with "A Day In Life" A Day in Life is the perfect app to store all your fond memories, life events, ideas, thoughts, experiences, memories, notes and more. Whether or not you love journaling your life events, A Day in Life is a fun and easy way to write about and capture your most memorable moments with family, friends and colleagues. Witnessed a beautiful sunset? Met a long-lost friend on the train? Got a brainwave that kept you awake at night? Capture and preserve all such wonderful moments with A Day in Life- Journal. Elegantly designed to look like a real-life journal, this journal app comes with several features that will make life journaling an absolute treat. 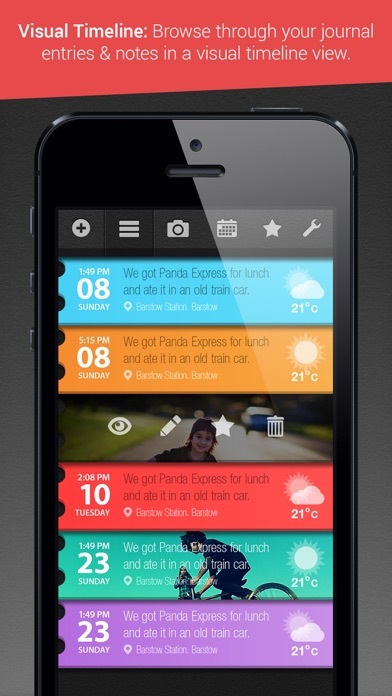 Features include: * Weather & Location tagging. * Add Photos and Images to your journal. * Import photos from Camera Roll. * Export journal entries as PDF files. * Backup & Restore your data to and from DropBox. * Manually edit the Date & Time of your journal entries. * View journal entries in 4 handy views: - Visual Timeline: Browse through your journal entries in a visual timeline view. 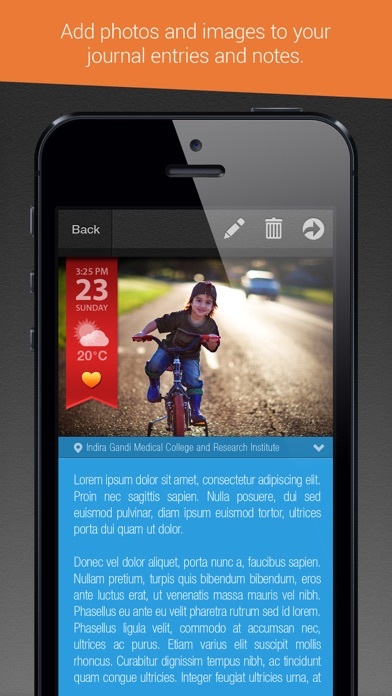 - Photo View: Flip through your journal entries in collage style. 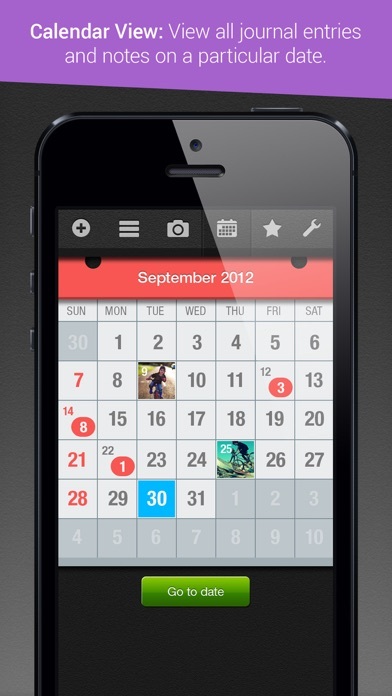 - Calendar View: View all journal entries and notes on a particular date. 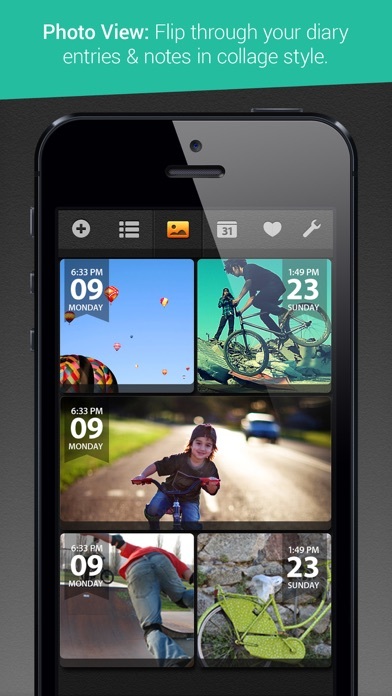 - Favorites: See only your starred journal/diary entries. With A Day in Life, you never have to forget a single special moment in your life. This app is a good journal writing app. Updates across all iOS devices. It would be nice if this app was also available for Windows based devices. It it did, I would give it five stars! This app is absolutely beautiful & useful. I use it to write scripts for my films. It's really a great buy! I found this app to be unstable. Daily entries don't consistently save after taking time to type a paragraph or two. Edits to existing entries often don't save either. Back up to dropbox does not work and there is no auto cap function after a period. Thought all text editors had some basic features that yours seems not to had. This app needs work before its ready for primetime.